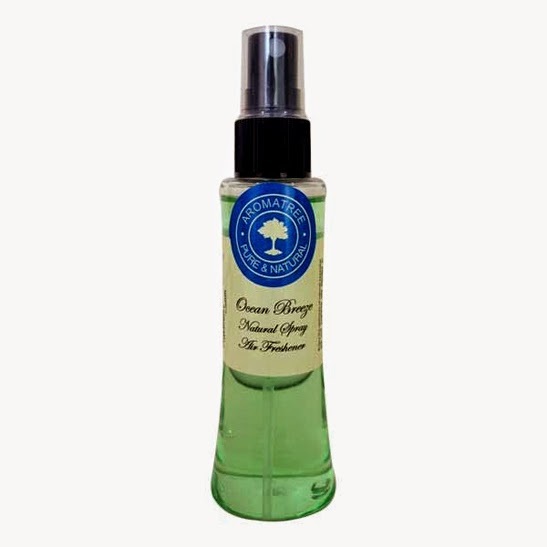 The crisp fragrance of Aromatree Ocean Breeze Freshener will envelope you as if you are walking along a secluded tropical beach with the waves gently spraying up a fine mist refreshing your mind and soul. Great fragrance for you room or car, this unique natural freshener is effective in eliminating bacteria and acts as an insect repellent and a natural disinfectant! The Ocean Breeze flavour of Aromatree natural air fresheners leaves your premises scented and refreshing for for long hours. This fragrance removes ashtray odour as well. The initial mild fragrance of the freshener makes sure that it does not hit you strongly when sprayed. Other fresheners cause suffocation when sprayed initially.